With November being Vegan Month, we put together a 3-course menu to honour this wonderful month! We have made sure to choose recipes that aren’t basic, so you can really challenge yourself. 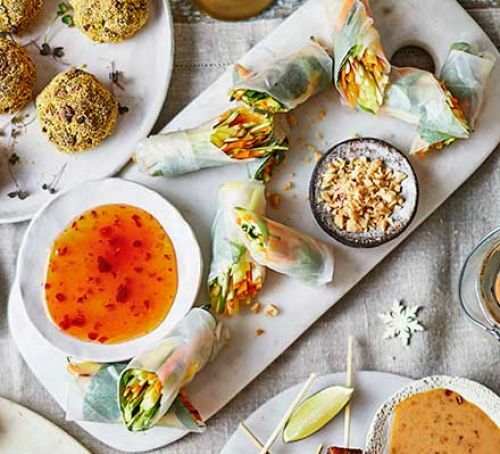 Try something new this month and give these recipes a go! Have all your ingredients prepared and ready to go before you start assembling the rolls. 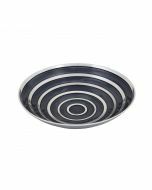 Dip a spring roll wrapper into a shallow bowl of water until it just softens (don’t leave it too long or you’ll be left with a gluey mess). Put the wet wrapper on a chopping board, then top with a couple drops of the mint spice drops and basil leaves (if using), and some spring onion, courgette, carrot, mango, chilli drops and peanuts (if using). Starting with the edge nearest to you, fold the wrapper into the centre so that it covers half the filling. Fold in both of the shorter ends, then, rolling away from you, fold the wrapper over so that the entire filling is encased. Repeat with the remaining wrappers and fillings to make 12 spring rolls. Can be made in the morning and kept in the fridge for later. To serve, cut the spring rolls in half on the diagonal. Serve with sweet chilli dipping sauce on the side. Drain the tempeh, dry and press out the excess liquid with kitchen paper. Warm the sesame oil in a small pan and add a few of the ginger drops (however many you want) and garlic. Fry for a minute, then add the rest of the glaze ingredient. Slowly bring to a boil, then gently simmer for 5 minutes. Add the tempeh and cover. Set aside to marinate for 30 minutes to an hour. Heat 1 tbsp of oil in a frying pan, and when hot add the tempeh, keeping the marinade. Fry for around 2 minutes, adding the marinade gradually until the glaze becomes sticky – this should take around 10 minutes. Set aside, cover and keep warm. Cook your noodles according to the instructions on the pack. Drain, reserving about 500ml of the water, then keep the noodles warm in a bowl, stirring in a little oil. Pour the noodle water back into the pan, put back on the heat and add the tamari and star anise. Put the miso into a small bowl and mix in a couple of tbsp. of the warm water. Add this paste to the pan and keep covered, simmering the broth on low heat. The flavour should be strong – add more tamari and miso if needed. Heat ½ tbsp. of oil in your frying pan and add the bok choi. Cook for 2 minutes on high heat, then add 3 tbsp of the miso broth and continue cooking for 1 more minute. Bring the broth to a slow boil. 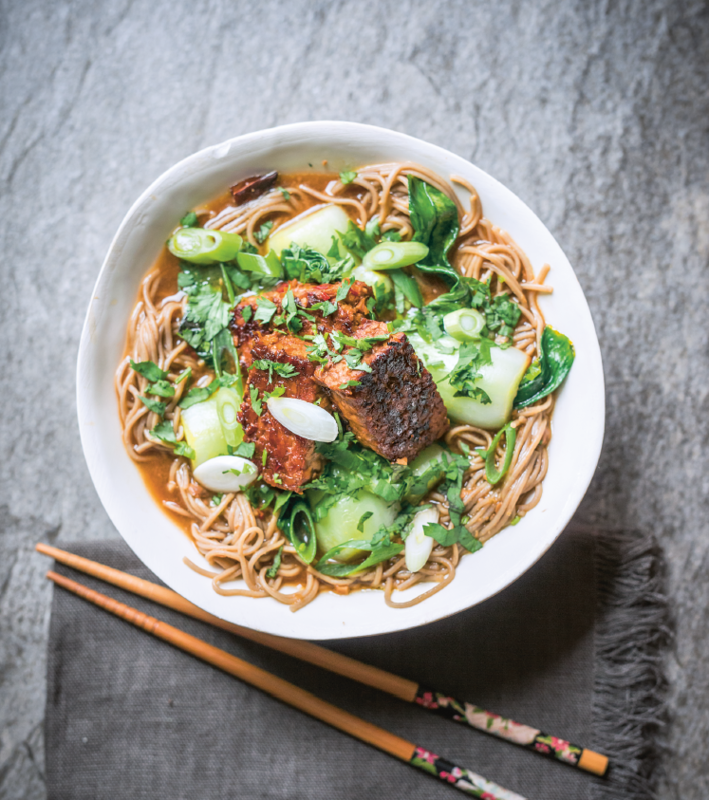 Divide your noodles between warm bowls, top with bok choi and ladle over some of the broth. Then stack on a pile of tempeh, topped with some sliced spring onions and a scattering of fresh coriander. Heat 250ml water, the sugar and the lemon peel in a small pan until the sugar has dissolved then bring the mixture to the boil. Cook for 3 mins then turn off the heat and leave to cool. Pick out the lemon peel and discard. Add approximately 3-4 drops of the lemon spice drops and add to the sugar mixture along with the vodka if using. Pour into a freezer box and freeze for 1hr 30 mins then mix up with a whisk to break up and incorporate the ice crystals (which will be starting to form at the edges) before returning to the freezer. Keep mixing the sorbet once an hour for 4 hours to break up the ice crystals. Stop mixing when firm but still scoopable then store in the freezer for up to 1 month. 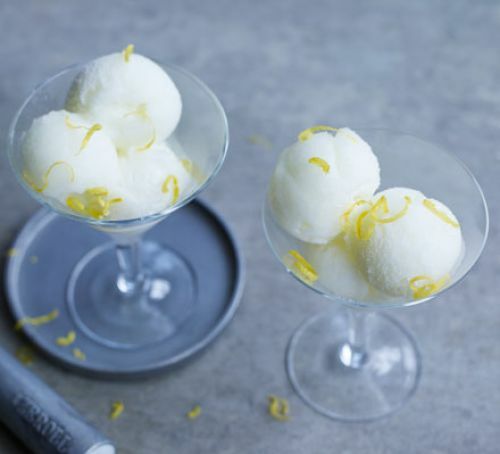 Serve scoops of sorbet decorated with a few curls of lemon zest. AO Home has a large range of spice drops, perfect for any occasion, any recipe, cocktail or pot of tea in need of a new dimension of flavour. These drops come in 6 collections, including the baking, cocktail, curry, and tea collection. For Vegans who love a BBQ, the BBQ spice drop collection is perfect to add a tasty seasoned flavour to your vegan-meat-alternative/vegetables. For beginners who want to get into cooking but aren’t sure what spices complement each other nicely, the spice drop collections are the perfect way to experiment. The spice drops starter collection contains 9 of the best-selling spice drops.